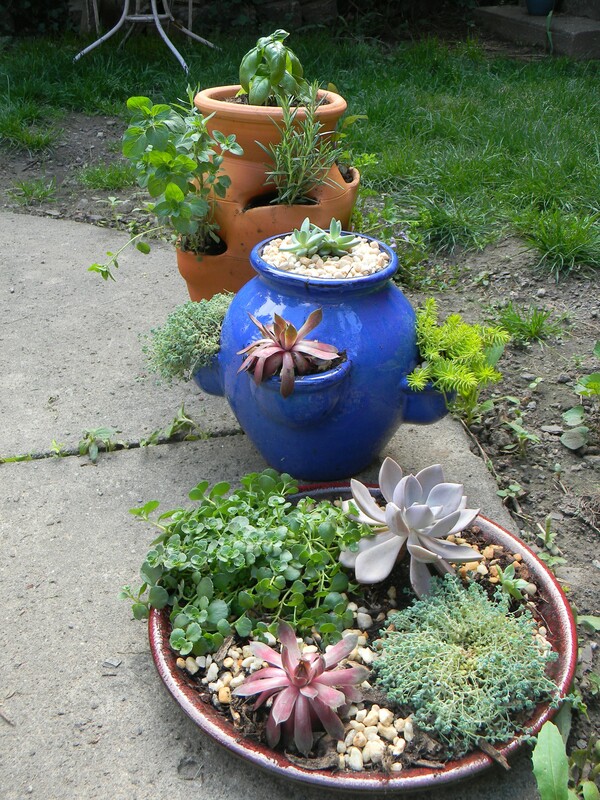 Strawberry Jars, Herb Pots, Sedum Planter, and a Saucer Full of Succulents! I’ve been on the search for strawberry pots that didn’t cost a fortune. Finally, on our way back from a recent trip to Ithaca, NY we stumbled upon a farm market that had some decent prices, so I got three! Over the weekend I managed to get quite a few things planted, including tomatoes and herbs. 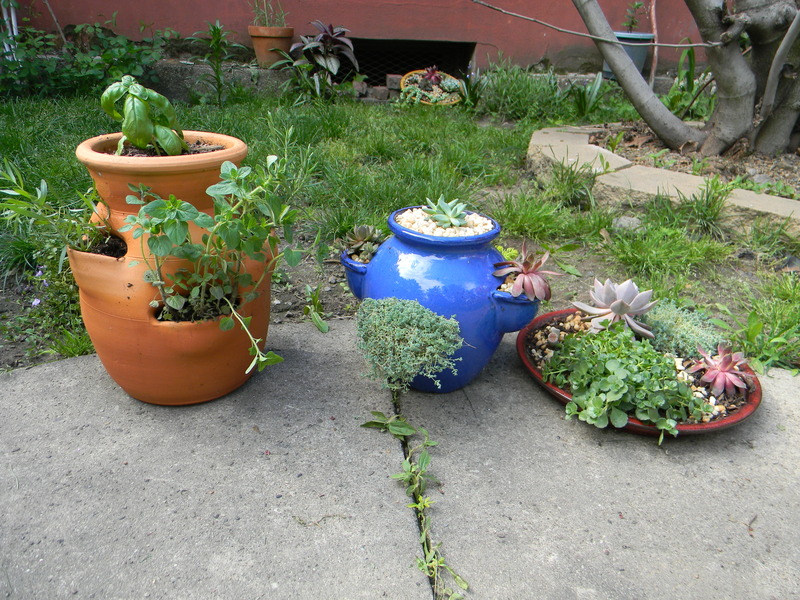 Right now, though, I’m most excited about these lovely pots! 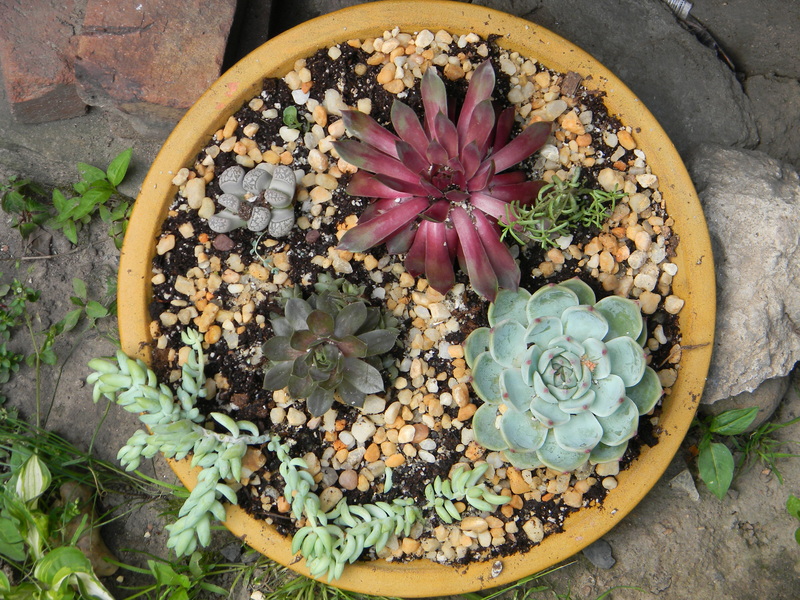 In the blue pot here I’ve planted ‘Love & Tangles’ (lower left), Sedum ‘Angelina’ (upper right), and some Hens and Chicks in the other pockets and in the top. 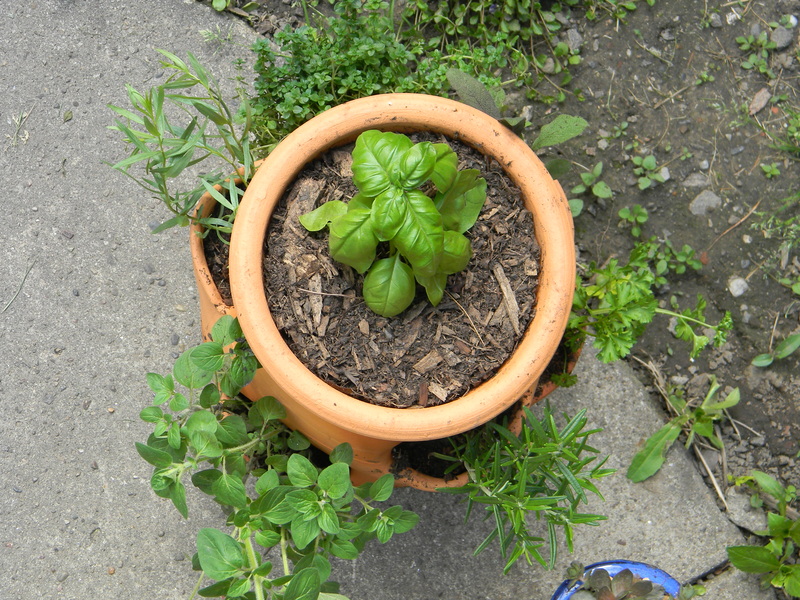 This larger pot (below) is full of herbs: rosemary, sage, lemon thyme, oregano, tarragon, parsley, and we’ll see how that basil does on top…might be too crowded in there for basil to be happy, but I since I have a lot of other basil plants I thought I’d experiment and see. I love the saucers, but realized (after planting them) that they don’t have any drainage holes! I would not have wanted to try drilling any for fear of breaking the ceramic dishes…but now I’m concerned about them drowning in rain water. I like them where they are, and they get great sun there, but it might be a pain (and sort of impossible) to move them every time I think it might rain. Shoot! The yellow saucer is place on a fairly steep angle up against some rocks, so maybe water will drain out that way (and hopefully not cause an avalanche of hens and chicks to follow it out! ), but the red saucer is lying flat on the ground. I guess there’s nothing to be done but move them when I’m able to before a rainstorm and if not, just drain the water out myself after it rains. 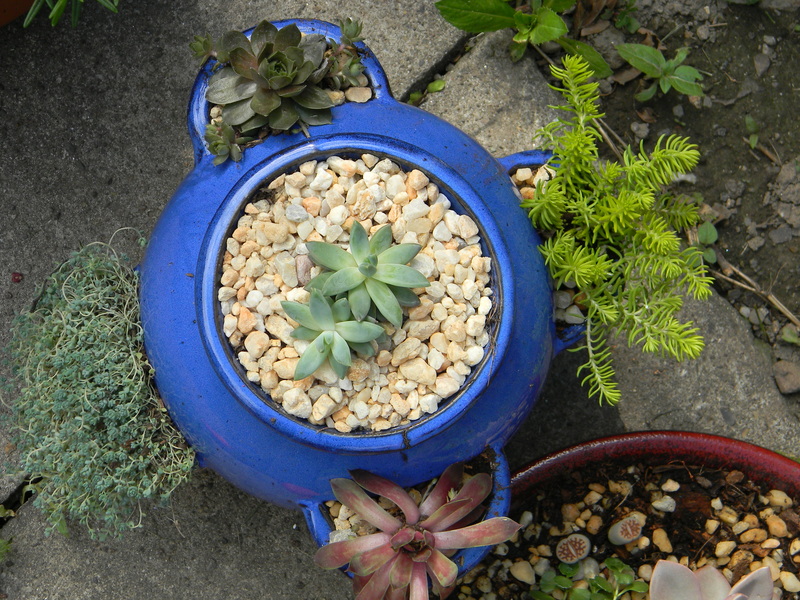 If worse comes to worse I can always put them directly into the ground or into other pots with drainage, but I really loved these saucers and the way the plants look inside them. 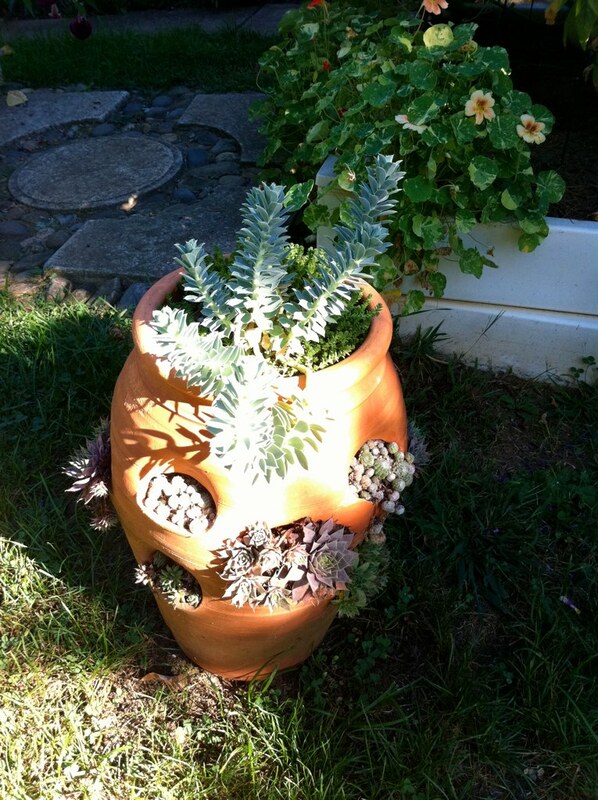 Last summer I fell in love with the succulent-filled strawberry pots at my friend Bev’s garden. Well, I pretty much fell in love with her entire garden, but that’s another post for another day. 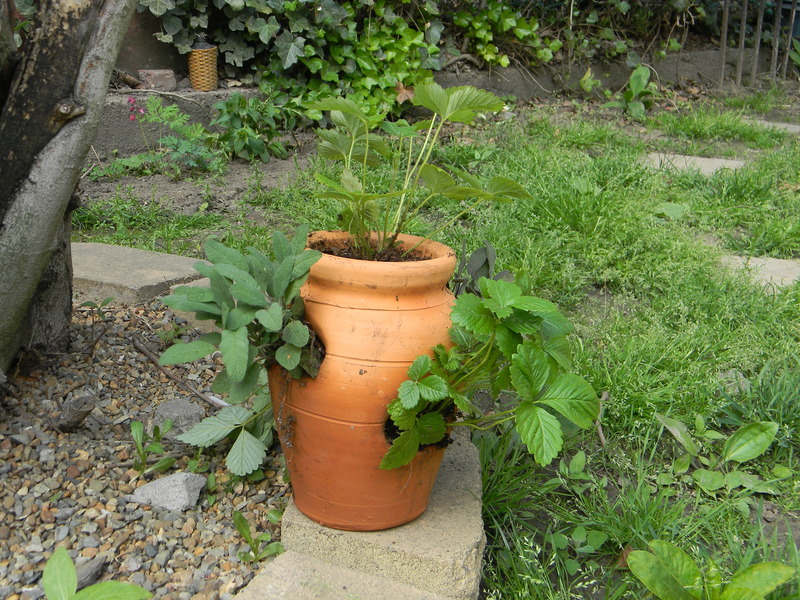 I kind of haven’t been able to stop thinking about those strawberry pots all winter, though. Amazing. And a little daunting to me. The strawberry pot route is probably more my speed right now. Unfortunately, strawberry pots are proving to be a little hard to find. I’ve looked all over online, and I’ve tried freecycle and craigslist – all without too much luck. 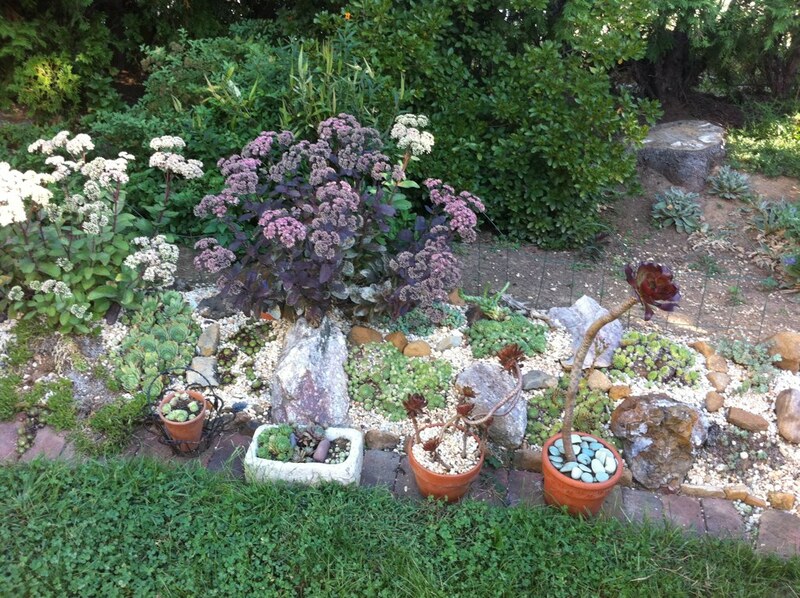 I’ve asked some nurseries and several farmers market stands that sell plants. None! What’s up? No one is giving any away, that’s for sure. The few I’ve found are expensive…do they just cost that much? White Flower Farm has one that is 14″ tall…for (gulp)$65. 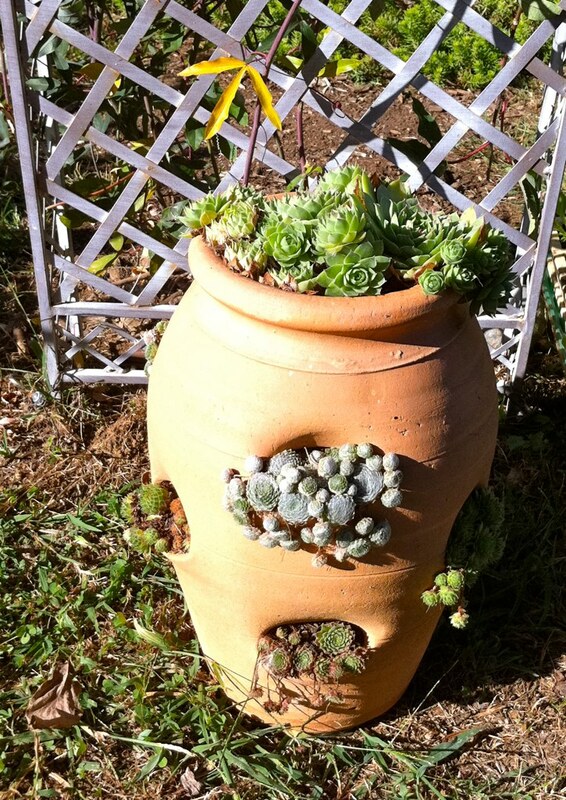 A few other places have them, but they are “mini” pots – 10″ tall or smaller, and I’d like something a tad bigger if possible. I’ve seen a few on Amazon that are plastic, but I want terracotta. They also have some ceramic types…for $420. ??? So the search continues…if anyone has any suggestions, I’d love to hear them! Maybe one day I’ll get one. 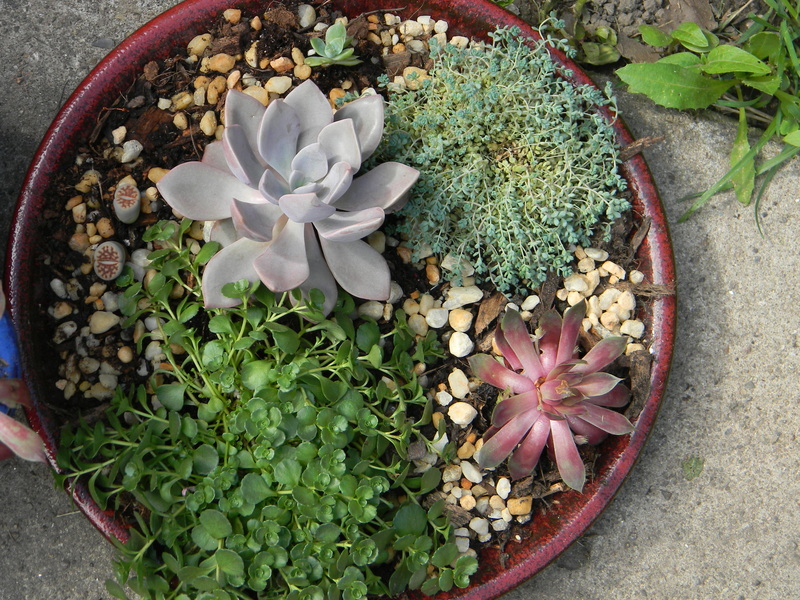 In the meantime, I plan to plant make a little rock/succulent garden in a terracotta dish – just a large pot saucer. 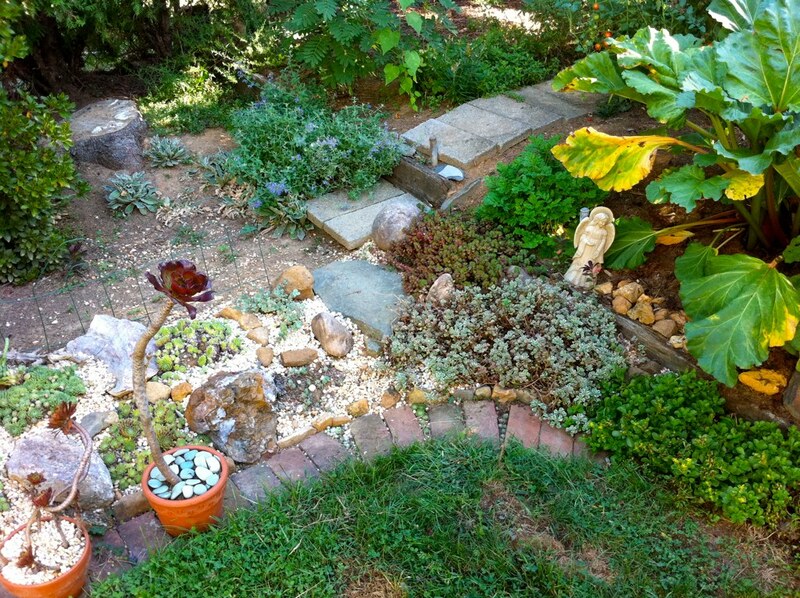 I definitely want to have these plants be part of my garden this year!